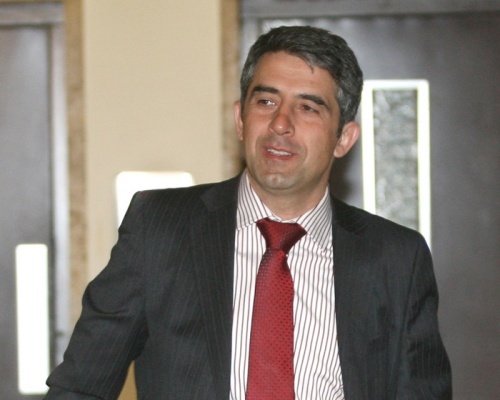 Bulgaria's Minister of Regional Development, Rosen Plevneliev, has pledged the country will have a fully functioning road infrastructure by 2020. The Minister has addressed the annual conference on "Governance and strategic development of infrastructure", stating that his ministry would prepare projects worth some EUR 4 B in the period 2014-2020. The Tuesday forum was attended by Minister of Environment and Water Nona Karadzhova, US Ambassador James Warlick, and Karsten Rasmussen, Deputy Head of the Bulgaria Department at the General Directorate for Regional Policy of the European Commission. Plevneliev noted that the funding for road infrastructure for the past 10 years had been between EUR 100 - 150 M, an insufficient amount. The resulting road networks were inadequate, the Minister stated, with only 2% highways - 418 kms in total, 3 000 kms of primary roadway, and some 4 000 kms of secondary roads. The aim of the projects would be to develop regional potential with a supporting network of newly constructed and repaired roads to enable people to remain where they live and prosper. The Minister also announced that a program for the renovation of 64 bridges and for improving safety at the 100 most dangerous intersections in Bulgaria, had been submitted to the Council of Ministers. Plevneliev added that 2010 was "the year the truth" concerning the condition of the road network and related priority projects. Meantime, the former Deputy Minister of Regional Development, Dimcho Mihalevski, has criticized the present government for its long-term policies. Speaking in a radio interview on Tuesday, he stated that it was normal budget practise to have extended contracts running over several years. Mihalevski said that, when the previous government came into power, it had inherited several such projects and contracts. "When we came to power and assumed responsibility, we also found a huge number of contracts that were in progress and implementation. And if we had applied the same reasoning that is currently being imposed on us, we should have handed over the previous government to the prosecutor," he stated. He added that, instead: "We did nothing of the kind. On the contrary, there were many problematic projects that were facing one risk or another - incompletion, or ineffective spending of funds. On the contrary, we finished them and they are in exploitation now." The former Deputy Minister, now a member of the Blue Coalition, accused the present government of adding to the crisis through its "inadequate actions". "The inadequate actions of the government multiply the crisis. The hole in the budget, popularly speaking, is BGN 1,4 B, but it is not because they pay old debts - they paid ouut BGN 120 M for the first two months - but because inadequate legislation, a lack of active measures to address the real economy to prevent its slowdown, all led to this imbalance," he concluded.